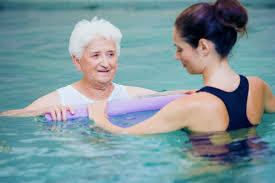 Aquatic therapy is a type of therapy that takes place in a pool or other aquatic environment. 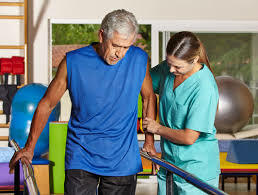 It is a physical and medical rehabilitation specialty that requires the supervision of a trained professional. Dystonia is a type of movement disorder in which muscles in the body contract involuntarily often causing twisting or repetitive movements. Dystonia can range from affecting one part of the body, known as focal dystonia, or can affect multiple/all parts of the body, known as general dystonia. Muscle spasms due to dystonia can be anywhere from mild to severe, impacting daily functioning. Unfortunately, there is no known cure for dystonia, but different medications can alleviate symptoms. The exact cause of dystonia is currently unknown. It is believed to be known that it may involve nerve-cell communication in areas of the brain. Certain forms of dystonia are inherited. Dystonia can also be secondary to various diseases. 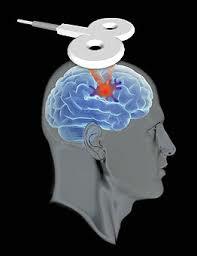 These include: Parkinson’s disease, Huntington’s disease, traumatic brain injury, stroke, infections, brain tumor, etc. 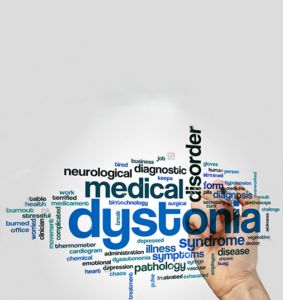 The areas most commonly affected by dystonia is the neck, the eyelids, jaw, voice box or vocal cords, hand and arm. Often times symptoms worsen with stress and fatigue. What are treatment options for dystonia? Doctors might suggest therapy as a form of treatment for dystonia. Physical therapy may help to ease symptoms of dystonia working on balance and mobility. Occupational therapy may be beneficial to aid in remediation or compensation techniques for daily activities. Other treatment options include the use of transcutaneous electrical stimulation (TENS), sensory re-integration, integration of primitive reflexes, biofeedback to learn to actively relax and splinting to prevent soft tissue shortening. Speech therapy can be utilized if dystonia affects the voice of the individual. Botox injections are another common treatment option for those with dystonia. It is injected into specific muscles that can reduce or eliminate muscle contractions. These injections are typically repeated every three to four months. Other medications target neurotransmitters that affect muscle movement. Some of these medications include: Diazepam, clonazepam, and baclofen. If symptoms are severe, a doctor may recommend deep brain stimulation or selective denervation surgery. Spasticity is a condition in which a muscle or group of muscles is hyperactive and unable to turn off and relax. After an injury to the brain or nervous system signals to and from a muscle are not regulated as they should be and therefore create abnormal muscle tone. This constant state of contraction can cause, pain, stiffness and shortening of soft tissue limiting normal range of the joint. The degree of spasticity can range from mild muscle stiffness to severe, painful, and uncontrollable muscle spasms. 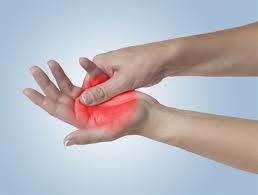 Central Pain Syndrome (CPS) is a dysfunction of the pain-conducting pathways of the central nervous system (CNS). The CNS includes the brain, brain stem, and spinal cord. CPS occurs when there is damage to an area of the brain that carries lots of sensory pathways. People often experience CPS as the result of a stroke, traumatic brain injury, multiple sclerosis, Parkinson’s disease, or spinal cord injury. CPS is commonly referred to as neuropathic pain or sometimes as thalamic pain syndrome by medical professionals. Damage to one side of the brain can cause a lack of attention to the opposite side. Most common is an inattention or neglect to the left side of the body after an injury to the right side of the brain due to stroke or traumatic brain injury. The brain attends to the right side with both hemispheres but attends to the left side with only the right hemisphere. A recent randomized trial by Yuzer et al., in the Journal of Stroke and Cerebrovascular Diseases 2017, investigated the effects of functional electrical stimulation of the wrist and finger extensor muscles of patients with chronic stroke who had spasticity of their wrist flexors. Anyone who’s done physical or occupational therapy knows how hard it is not to cheat. The body wants to get back to work, and the easiest way to do that is to use the uninjured limbs to help out. The therapist is there to make sure it’s the injured limb that’s doing the work. Intensive therapy can help people who have suffered a stroke recover motor function—even if the treatment begins a year or more after the stroke occurred. After a stroke, the brain and body can start recovering immediately and can show improvement up to six months afterward. 10 Exercise Strengthening Products for Stroke Patients. Improve Arm, Leg, Foot and Mobility. A common impairment following stroke is called hemiparesis or one-sided (“hemi”) weakness (“paresis). 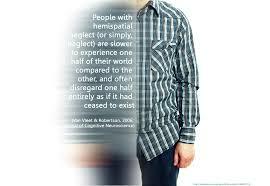 Hemiparesis affects about 8 out of 10 stroke survivors, causing weakness or the inability to move one side of the body. 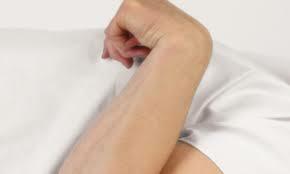 One-sided weakness can affect your arms, hands, legs and facial muscles. Individuals with hemiparesis may have trouble performing everyday activities such as eating, dressing, and using the bathroom. Rehabilitation techniques, such as strengthening exercises, can help with speeding up your recovery. Listed below are 10 exercise products that can help improve your strength following stroke. 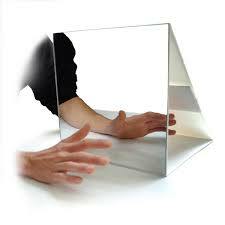 The principle of Mirror Therapy is the use of a mirror to create a reflective illusion of an affected limb in order to trick the brain into thinking movement has occurred. 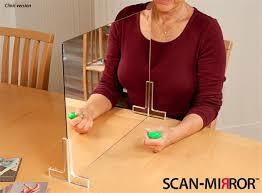 Mirror therapy allows the brain to be activated during the imitation movements and interact simultaneously with the motor neurons. For example, if you put your left hand behind a mirror and right hand in front, you can trick your brain into believing that the reflection of your right hand in the mirror is your left. You are now exercising your left hand in the brain! Activities of Daily Living (ADL) are impacted continuously for may stroke survivors that suffer from limited arm and hand function and movement. Research indicates that Biofeedback and Electrical Stimulation can result in improved mobility and functional use. Biofeedback combined with electrical stimulation (NMES or FES) can be an effective tool in reducing the symptoms of stroke, such as increasing strength and function. Following a stroke or other neurological injury, multiple vision disorders can occur including the inability to recognize objects, color vision deficits and difficulty with perceiving various types of motion. Approximately 20% of patients experience permanent visual deficits (Romano JG. J of Neurol Sci. 2008). According to the National Stroke Association, homonymous hemianopia, which is the loss of one half of the visual field in each eye, is the most common visual disorder. Most people who have vision loss after a stroke do not fully recover their vision. Thankfully, some recovery is possible. Treatment and outcomes will depend on the type of vision impairment and its cause. Listed below are 7 Visual Motor Training Devices that are currently available on the market that can assist with improving recovery. Whether you suffered a stroke, living with multiple sclerosis (MS) or experiencing another neurological disorder, experiencing Foot Drop can be quite a struggle. Finding the right support to maintain foot clearance when walking can be challenging at best. Areas of concern include size, comfort, durability and effectiveness. Listed below are 5 comfortable “out-of-shoe” Foot Drop Braces that are currently available on the market. Although the below braces may be more comfortable to wear, it is important to realize that not everyone will qualify for these lower profile ankle supports. Individuals will need to consult with a healthcare professional to make the most appropriate choice for their needs. It is not only babies who benefit from breast-feeding; a new study finds that the practice may lower a mother’s risk of heart disease and stroke. What is more, researchers found that a mother’s risk of heart disease and stroke further decreased with each additional 6 months of breast-feeding. Study co-author Sanne Peters, Ph.D., of the University of Oxford in the United Kingdom, and colleagues recently published their findings in the Journal of the American Heart Association. It is not uncommon for individuals to experience decreased hand function and strength following a neurological injury such as stroke. Sadly, even after 6 months following stroke, over 60% of clients are still struggling to achieve full arm and hand recovery (Kwakkel et al., 2003). Moreover, the inability to actively open the hand for pre-grasp activities is a severe limitation for many stroke survivors. The impaired movements lead to decreased independence in leisure and self-care tasks (activities of daily living). Because this limited function is a difficult challenge, traditionally, clients were required to relearn new compensatory movement patterns and one-handed strategies so functional activities could be achieved. The Stroke Hand and Upper Limb Clinic, offered by occupational therapists specializing in neurorehabilitation, provides an intensive (3 days, 6 hours per day) upper extremity treatment program for patients suffering from neurological impairments such as spasticity and weakness. The specialized stroke clinic, located in Charleston, SC is geared primarily towards clients that struggle with arm and hand function. It is true that recovering from a stroke will be an uphill battle for many, however, it is also accurate that the latest research findings regarding neuro recovery are more promising than ever before. How serious are you with embracing evidence into your practice? As a clinician, are you stuck using numerous theoretical-based treatment concepts that have not scientifically been proven to be effective? Listed below are some of the common interventions supported by research that have shown positive results. How many of the below techniques are in your current therapy toolbox? If just a few, then why?